How can one write engagingly about the most recent art, when iconographic and formal interpretations no longer provide a relevant framework? Gilda Williams’s concise handbook provides the answers. 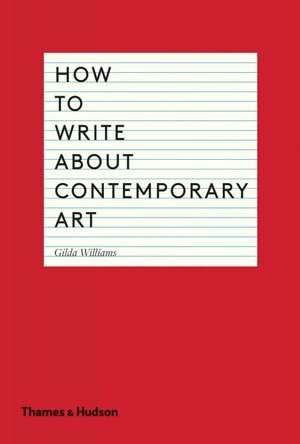 Brimming with helpful, targeted advice, it starts with the theory and practice of writing about contemporary art. In counselling the reader against common pitfalls such as jargon and poor structure, Williams points instead to the power of close looking and research, showing how to deploy language effectively; how to develop new ideas; and how to construct compelling texts. The book is organized around specific forms of art writing, including academic essays; texts for exhibition and auction catalogues; gallery guides; journalism and exhibition reviews; conducting interviews; texts for websites and blogs; and writing press releases. Tips at the end of the book include how to deliver a successful presentation or gallery talk, as well as advice on how to build your own contemporary art library – adding up to the definitive handbook for everyone interested in looking at and communicating about the art of our time.